It’s always a little sad to see summer – and its bounty of nutritious berries, tomatoes, cucumbers and melons – come to an end. Luckily, the autumn harvest offers a variety of different, but equally nutritious, fruits and vegetables which are starting to make their seasonal appearance on produce stands and supermarket shelves. Nothing says fall is on its way like fresh, crisp and flavorful apples. There are over a hundred varieties grown commercially in the United States and late August and early September start peak season. There is merit to the old saying that an apple a day keeps the doctor away, but did you know that this Foundation Food is also a bone builder? A medium apple also provides 15 percent of the recommended daily allowance of both fiber and vitamin C, and a variety of bone-building polyphenols, trace minerals and flavonoids. Entire books have been written about the benefits of vitamin C and fiber, and apples are known to be a good source of both. But the unique combination of antioxidants such as polyphenols and flavonoids, plus valuable bone-building minerals is what really makes the apple a bone healthy powerhouse. Don’t Peel Away the Nutrients! Peel your apple and much of its fiber, antioxidant and phytonutrient value is lost. If pesticides worry you, and they should, buy organic apples to avoid not only pesticides but synthetic waxes as well. It would be beneficial to look for apples, even organic, that are not waxed. Waxing the apples allows them to be picked earlier and this means that the fruit is harvested before it reaches its nutritional peak. By picking, I mean choosing the most nutritious and best-tasting apple out of the bin, but if you have a local orchard and would like to go apple picking, I can assure you that walking on slightly uneven terrain and climbing ladders are both great bone-building exercises! Most of us, however, will be picking apples at the market. Look for firm fruits that display a rich color and no bruising, soft areas or discolorations. The skin should appear and feel smooth. The apple should yield but not remain depressed with slight pressure. Store apples in the refrigerator to preserve taste and nutritional value. Apples soak up strong odors and tastes, so don’t store them next to onions or other pungent foods. The apples said to have the greatest polyphenols and flavonoids are Rome Beauty, Cortland, Golden Delicious, Fuji apples and Red Delicious. Apples are a delicious snack on their own, but here are a couple delicious recipes that my family enjoys… I hope yours will too! Both feature raw, peel-on apples to retain all the bone-building nutrients. 1. Combine apples, zest, juice, cardamom and cinnamon in a food processor and purée 3 to 5 minutes, scraping down sides when necessary. 2. Divide among 4 bowls. Top each serving with a dollop of yogurt and, if desired, almonds. 1. In a medium bowl, toss apples, grapes and celery with juice from half of the lemon. 2. In another bowl, whisk together yogurt, mustard and juice from the other lemon half. 3. Pour half of the dressing on the apples and toss. 4. Serve over salad greens and drizzle with remaining dressing. Garnish with walnuts if desired. Eating small amounts of fruits through out the day, will balance your blood sugar levels, and eating fruit with your food, lower your Alc, I have type 2 Diabetes. Your acid reflux will even go away, thanks to Vivian. Thanks for the tip, Evelyn! It is really a nice and useful piece of information. I am happy that you simply shared this useful info with us. Please keep us informed like this. Thanks for sharing. Vivian, I thank you so much for all of the great information that you share. I have a question regarding combining apples with cucumbers,as you suggest. Sounds yummy! You once recommended Sherry Brescia’s Great Taste No Pain. In her manual and e-mails, she says not to combine fruit with any other foods because fruit is digested in the small intestine while other food is digested in the stomach. Mixing fruit with other food will cause the fruit to “sour” in the stomach. Please give your opinion. Thanks so much. I received your save our bones program some time ago. i noticed in your adds there are several pamphlets with this book. I only received the book. was there some mistake or is that all that was included in my order. Thank you for the great recipes. One I tried from juicing is called Jay’s world famous lemonade. Juice 4 apples and 1/4 lemon (skin and all) No need to add water or sugar-the apple acts as a natural sweetener. Add some crushed ice. I juice at lot of veggies and fruits. My health is well and enjoy learning about all the new items and the recipes to help keep staying healthy. Finished all my health check up and at age 67 I finely did a colonoscopy and it was good. I take no medicine and feel very blessed and feel if I continue to do as I have been and learn about the message you are giving I should be able to improve my bone lose. I am not that worried about it because from what I think I am learning is it is what and how I am eating the food which are all healthy food but to much of one kind and not enough of the other or just not balanced but I am learning and it is a pleasure to learn about these things and try to prove you do not need medicine if you eat right. My biggest problem is I love to eat and eat too much but I have improved and eat most of the time what I should and my weight is good. I just really enjoy all the fruits and veggies and can really eat them. Have got my cholestrol down but not to normal yet but it is a goal that I can do if I am on track. Thank you again for all your information and I have learned a lot and some very much a surprise. Thank you for all the wonderful comments from women everywhere. I have been diagnosed with Osteopenia in two vertabrae and I have been given a prescription for Fosamax. I have taken one tablet and now have burning eyes, stabbing pains in my groin and all of my joints, never had this problem before. the remainder are going in the bin. I make my lemonade with apples as the sweetner. I juice 4 apples per 1/4 lemon . Please have an assessment with a qualifyed Chiropractor to determine the positions of all the bones in your lower back. Sometime. small muscles in and around the spine can pull the bones to one side and pinch the nerves. I have found it very helpful to have massage with the adjustments. this helps to relieve the muscle soreness. Things like heat. Hot water bottle. rice filled bag. various oils creams. menthol related with other things help to relieve inflammation and muscle tension/spasm. Tiger Balm. Goanna oil. Dencorub. etc. the Chinese and health food shops .The Chinese with acupuncture as a therapy can help also. as does magnetic therapy. all help to reduce muscle spasm. “www.QuadraBloc.com” you should be able also to find a history of magnetic use going back 1000s of years. I’ve used Miacalcin nasal spray for 6 months and developed chronic sinus drainage and now a horrible bladder infection. I stopped the Miacalcin and without getting antibiotics or even seeing the M.D. the symptoms are gone. I read in Vivian’s book that this can happen. I only took it because I don’t have a thyroid, which is key to calcium absorption (the critical hormone calcitonin is what a healthy thryoid makes). Does anyone know if Armour Thyroid has natural calcitonin in it? I have osteoporosis with a -3.l bone density test. I was just told that I have an enlarged thyroid with many nodules. My doctor also said I have a Hypo-thyroid which is functioning low. If the thyroid is the key to calcium absorption is that why my Bone Density test is so bad? Please reply. Thanks!! I also really appreciate your recipes and your keeping in touch to keep this important information before you eyes. I have always loved red deliciious apples–so glad to know they have even another benefit than I knew. I took Actonel for 2 months, and though maybe not long enough to cause problems, I was full of aches, stopped taking and shortly after suffered what I and doctors thought might be heart attack symptoms, but turned out to be a very serious kidney infection. ( I had never previously experienced), and then tooth aches and an abcess requiring a root canal. connected or not–I am paying attention to this program!! Thank you so much for the information of the green apples and recipes. I eat apple only occasionally, but I eat banana & orange everyday, do they help? Another good reason not to take osteoporosis drugs. Check out the following article which made FRONT PAGE NEWS in the Telegraph on 3rd September 2010 in the UK. Thanks very much for the information on green apples. I’m really happy to hear more…thanks Vivian. What contraindications do you find to using Evista to prevent bone loss? Besides the hot flashes, is there anything else that is so bad? If it may help with bones, should I try it? Thanks Vivian for the Waldorf salad recipe…when I first made it my 3 1/2 year old grandson was visiting and I served it for lunch and he asked me what was in it as he liked it. I proceeded to tell him all the ingredients of which I thought he usually loved until I got to the mustard. He then said he did not like mustard and could he pick it out!!! I told him it was in the dressing and was soft like yogurt so it could not be separated. I asked if he would prefer to just have the fruits by themselves without the dressing and he replied” no, it’s really good but you must use a different mustard than Mom. Maybe you could tell her about this one!!! And, of course, my daughter-in-law uses the same dijon mustard. One of those “out of the mouths of babs”. How much Vitamin D is enough – I have one bottle of Vitamin D 5000mg and I take one a day – is this too much that it could cause other problems? A medical clinic in USA has been studying Vit D for 5 years now. Blood tests etc. They found the average person has about 15mcgm/lt on their blood. Observations found that 50 mcgm/lt is when it switches the immune system on increasing the killer cells. . they also gave participants 40 000 units a day for 4/ 4 months without any side effects. sorry but I don’t think your bottle would be 5000 mg (milligrams) but mcgm(micrograms.) or could be units. that would be 1 a day. 5000 u./125mcgm some of the other supplements have mcgm also. eg: selenium. Dear Vivian thank you so much for teaching us all these important things for our life. Hello Dear Vivian : Thankyou so very mucho for all your Help. You are very nice and Beautiful Lady. Yes I eat apples almos every day, I will ate more apples in the futuro. Y knew for many year that “una manzana cada dia del doctor alejado estaria” One apple evey day get de Doctor far eway….One apple every day get my osterosporosis far away!…nada, cero.. Im taken two tablespoon de sesame seed every day, plus one capsula de Oil. I’m mfeeling much mor better . Thankyo, Linda Vivian. Sincerly< Josie- Maria J.
I LOVE APPLES. And I Most Of The Time Eat It With The Peeling, Because I Know The Peeling Is The Healthiest Part Of The Apple. Also I Love Those Recipes, ESPECIALLY The Waldorf Salad. And I Like It Best WITH The Walnuts. They Both Sound DELICIOUS. I have read several comments from others who have had nearly identical experiences as mine when their doctors first addressed treating their osteoporosis. He is my experience – hope it can help someone else. First, I am 50 years old, small frame, 116 pounds, 5’3″, just went through menopause, and am a healthy eater, but knew nothing about alkalizing diets until reading “Save Our Bones”, and was perfectly happy being a couch potatoe. Then came my first-ever bone density scan. I had known my endocrinologist to be level-headed and very rational over many years of seeing him for an unrelated condition. Then, when I saw him following my bone density test (which showed osteopenia in hips, neck, upper spine and osteoporosis in my lower spine – t-score of -2.8), he jumped into a one-sided discussion of how much bone I am going to lose in the next 5 years and was almost frantically insisting that I should begin Forteo – immediately! Since blind acceptance is not my style, I told him I needed to look into it and scheduled a follow-up visit after 2 months. Since then, I obtained a second opinion from a trusted doctor (confirmed the first opinion but without the urgency), read the “Osteoporosis Reversal Program” as well as other books on treating osteoporosis, have researched drug clinical trials and have generally learned as much as I can about what I can do for myself. The long and short of it is that after 2 months, at my follow-up appt. with the endocrinologist, I informed him that I will wait at least one year; I will try lifestyle modifications which include exercises and dietary changes (i.e. “Osteoporosis Reversal Program”), and will religiously take a balanced bone-friendly supplement. Then I will redo a bone density test (which I will pay for out of pocket for about half the cost of a one month supply of Forteo!) in one year and see where I stand. I was stunned. He was calm, rational and accepting. I believe that there are many factors hampering the doctor-patient relationship, including malpractice considerations for not prescribing the right medication to “fix” the problem, and also our growing culture of drug worship, where individuals are encouraged on a daily basis to “Ask your doctor about…” each new drug du jour. Perhaps the lesson, if there is one here, is to take your time, learn as much as you can, and make your own decision. And so I begin my year-long journey with enthusiasm, optimism and a spirit of renewal. Who knows what the future brings, but I am confident that I have made the right personal choice and will consider the year a total success, even if I don’t add bone density but succeed in stopping bone loss. I look forward to Vivian’s frequent emails, as they help me keep stay focused and motivated on re-balancing my diet and making time for exercise. A lady 85 years old in USA mother of a business contact. she had quite severs osteoporosis and was on 3 different drugs. Her son done some research. told her to change her diet. walking 2 times a day. Supplements from Nutralite in California. Natural food based.came off the drugs. Well in 2 years she reversed her condition 60%. . good for an 85 y old. Vivian, do you have a comment / feedback with respect to: phelin@lifedir.com. QUESTION? How do nutrients in DRIED APPLES compare with fresh with peel apples? Thank you! Some vitamins and enzymes will be lower depending on treatment and storage. Fibre and minerals will be about the same regardless. Sugar (natural) content will be higher weight-per-weight as will be any dried fruit. Be sure to chew well to break up the skin and aid better digestion; i.e. the smaller the particles, the better the digestion and hence nutrient absorption. That goes for all fruit, especially berries which are small to start with. 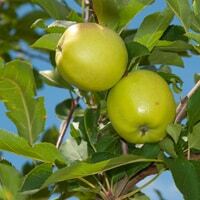 Lovely to read the advice I have an eating apple and a baking apple tree in the garden and I eat them both but the bakers I microwave with a little brown sugar, very tasty and helpful for my bones. Wonder if the Save our Bones Programme book is on sale in the U.K. Thanks Vivian you have been very helpful. Thsnks for all the emails very informative. Hi. I am new to this website, but have several questions regarding osteoporosis. I have always eaten fairly healthfully and been a small-scale exerciser, and have always thought of my health as good. However, I had a bone density test about 8 years ago and I was diagnosed with full-blown osteoporosis (not osteopenia like most people have first.) Despite my reluctance in taking medication for this, I started on Fosamax and was on this for 2 years. I had another bone density test and the results were even WORSE than before. My doctor took me off Fosamax and started me on Actonel. I was on this for 2 years and had another bone density test. Guess what? It was even WORSE than before! Now I am on Boniva. I sure hope it help, because if not, I am not taking any more medication! Why is this happening to me? I eat all the good foods, take calcium and vitamin D, plus now exercise 3-4 times a week. I am TOTALLY frustrated and would appreciate any advice anyone can give me! Thanks! Been there did that. I was on Fosamax and Boniva, for a total of 8 years, every test was worse than the one before. I quit all the drugs. Trying the best I can do. I have bought all of Vivian’s books. I have another test March 2011. I am hoping for better results or staying where I am. First and foremost please do not take anymore Boniva! I took one pill and was very ill for two weeks. None of those drugs work and the side effects can be devastating! Find an alternative doctor who isn’t dialed into using drugs for everything. If you haven’t done so already please order Vivian’s Save Our Bones program. Also, Dexa scans are not always that accurate. Keep up the exercises and try to do a lot of walking. Good luck! Thanks Vivian for the recipes, I dislike cooking but trying a new recipe always encourages me. Keep sending. Forteo for the treatment of osteoporosis. I was on Forteo for one week. I did the shot one morning and shortly after my heart started to race and thump like crazy. It lasted about an hour, but by the time I got to the hospital it had stopped. I had also tried Fosamax. Decided I would take my chances without taking any of those, so far ok. I AM HAPPY TO HEAR THAT APPLES ARE GOOD FOR OSTEOPOROSIS; I LIKE TO EAT AN APPLE AFTER DINNER EVERY NIGTH; WHEN I DON’T BUY THEM ORGANIC I USE A FRUIT-VEGGIE WASH,I LIKE TO EAT THE SKIN, FOR ME THEY ARE THE BEST DESSERT I CAN EVER HAVE. THANK YOU VIVIAN FOR THIS INFO. Is it true that it is better to eat apples raw rather than baked? When they are baked I find I can eat almost the whole apple as opposed to when it is raw. I have osteopenia. My Mom passed away this past March, who had osteporsis. My genearal practicioner and my GYN doctors have wanted me to go on the usual meds for bone loss (i.e. Fosomax, Actonel and now Reclast). I’ve read many things in regards to all of these “cures” and I’m really concerned of the “negatives” I keep reading. A close friend tried doing more exercise and going natural. The next time she was checked her bone loss hadn’t changed. My GYN said exercise and natural remedies wouldn’t stop the bone loss nor build it back up. I was put on extra (prescription strength) Vitamin D for 12 weeks. That brought my D level back up, but now they want to do the shot. Help!!!!!! I don’t want to do that, but definitely don’t want to end up having osteporosis like my Mom. I wouldn’t do it. Try this program 1st. Don’t fall victim to ignorant doctors. Last year I started the beginning of osteopenia. Like everyone else I felt scared and had two doctors who wanted to put me on all the different drugs for bone health. I saw my Dr. about two weeks ago and he wanted me to take 50,000IU of vitamin D weekly!!!! I didn’t go on the drugs. I bought Vivian’s Save Our Bones program and tried to live it to the best of my ability. I just found a plant based calcium called AlgaeCal (Order on-line). After 6 months of the program my Dexa showed a small loss and my Dr. said no loss. I will keep doing the program and expect better results next time with a better calcium. God Bless. knew about the good benefits that they offer. I have osteoprosis of the spine. I have refused the typical treatments (Boniva, Fosamax) and now my doctor wants me to go on Evista. What is the difference? Juice them!! I make fresh vegetable juice every day and always add an apple. There’s lots of foods that my dentures won’t allow me to chew – so, I juice!!! We need a” Vivian” who lives in GB and understands the working of the NHS and the restrictions placed on prescribing by GPs. Many of the items mentioned in recipes are only available in large towns with specialist shops or are known by different names. I don’t buy waxed lemons but how does one recognise a waxed apple? Thank you ,Vivian, for such an erudite approach to our bone health. Twice I tried stopping my once per day tea, Shave Grass (Cola de Caballo) sold only in Food City, Sierra Vista, SE AZ; I found myself having to go back to the chiropractor again. No health food stores have it, but it seems to work for me!!! During monsoon allergy times I took Echinacea tea instead but now back to my shave grass tea again; my back has more priorities than pollen grass allergies. So happy you informed us that there are non-waxed apples; the co-op in town does have non-waxed, organic apples—-no more peeling!! Sadly I cannot eat raw apples as my teeth do not allow me to. I intend to have some dental implants soon and then I shall enjoy them Meanwhile I cook apples and pears together and eat them on their own or with custard or ice-cream. I dont know if cooking applea reduces its nutritional value or not but would wecome any comments on this subject. Juice them! Cooking destroys nutrients. I’ve been juicing for 34 years and it’s been my daily routine in my life. I’m soooo grateful for my Vita- Mix machine. Like you, my dentures make it impossible to chew many vegetables. Rather than steaming/cooking, I juice them! Thanks for the apple recipes. As it happens, I just last night had an apple for salad – a Fuji, I think – which I hadn’t done for quite some time(because summer fruits are now readily available) and was delighted at how delicious it was. The apples listed as highest in polyphynols are all my favorites, except for Red Delicious, so I was surprised that one of the recipes specified Granny Smith, which I find to be a tasteless variety, and I never buy it. But, here in Wisconsin, we’re lucky to have many apple orchards, and many delicious varieties are readily available, and often organic, to boot. I love Granny Smith apples. They are my favorite. I love the tartness! granny smith are my favorite apples. I make applesauce with them and don’t add sugar. I like the tartness. Great news about apples as I usually have one a day. Do the benefits extend to Bramleys, a great British cooker, as we have a tree in the garden and I make a lot of apple crumbles? What about those of us with Type 2 Diabetes whose sugar level is sensitive to apples and other fruits? Thanks so much for the apple recipes! Are there any recipes available for pumpkin? Thank you for the info. on apples…I will try to have some each week. Am I correct in believing I read that B12 is also necessary for building bone density? Thank you for todays email, and it is very interesting, I and my family I’m sure will enjoy your recipes. Thanks for the recipes, I really appreciate these. What about those of us whose digestive track revolts over apple skins? I have a very touchy digestive system which is sometimes iffy about certain foods and sometimes not. Apple skins is one of the things that sets it off. What is the solution for not being able to eat apple skins?